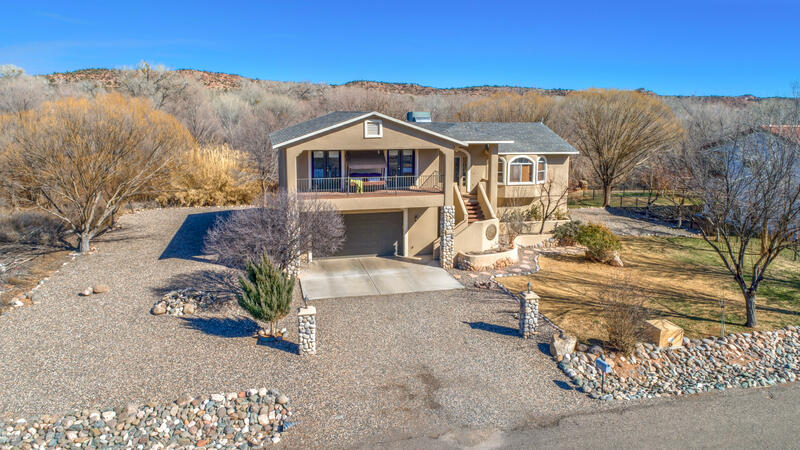 Gorgeous Verde River views from this greenbelt property. Owners are original and participated in selections. Lower level was finished 2 rooms and pre-plumbed for a sink and has a separate entrance and covered patio. Garage has 4 parking spaces and there is RV parking with full RV hook-ups on side of the house. Upper level has covered deck and open deck that really let's you enjoy the view and sounds of the Verde River. Great place to entertain. Rear deck off the master bedroom is reinforced for a hot tub with electrical outlet. Master suite is huge with a walk in closet, jetted tub and separate shower. The other 2 bedrooms have french doors to a shared covered balcony.